This year Dr. AV Hankins, MD and Founder of the ACES Museum and the Commander of our Philadelphia chapter will be our dynamic keynote speaker!! The registration fee will be $50.00. Lodging will be at the beautiful Renaissance Hotel in Downtown OKC, 10 N. Broadway Ave. Oklahoma City, OK 73102 PH. (405) 228-8000 or 1-800-HOTELS1. 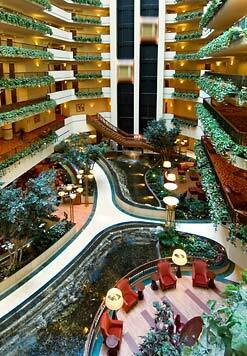 The hotel room rate will be either $84.00 for a Standard Room or $104 for a King Deluxe Room. Travel arrangements will be on your own. Transportation will be provided by the hotel between the airport and hotel. All members calling for reservations should inform the Reservation Agent that you are with the National Association for Black Veterans Inc. Convention group which is scheduled for 10/21-10/23. Further Convention information will also be on the front page of our upcoming NABVETS National Newsletter which will be released very shortly. We expect an excellent Convention this year and suggest that you get your reservations in early. More information on the Convention and workshops will follow soon!! For questions on the Convention, contact either NABVETS Regional Director, James Greenwood at (405) 602-1633 or Richard Rodgers at the National office at (414) 562-6250. See you at the Convention!! NO CREDITS PRODUCTIONS CELEBRATES 15! No Credits Productions, LLC celebrates 15 years in the Denver community. After a very successful 3 nights of radio dramas in April 2010 NCP presents a triumphant return to its roots with the Award winning radio series DESTINATION FREEDOM: BLACK RADIO DAYS, a monthly “edutainment” series that has been on the air for 12 seasons! This year is not only the 15th anniversary of No Credits Productions, the 12th anniversary of Destination Freedom: Black Radio Days but a very special anniversary for NCP founder donnie l. betts, who donated a kidney to his sister that is living with the complications of Lupus 10 years ago this March. As always, Destination Freedom is presented true-to-form radio show in front of a live studio audience; at Dazzle Restaurant Tickets are $10 general admission. This Monday May 24th at 7PM not only features the live broadcast on KGNU 88.5 FM Boulder 1390 Denver with our musical guests, but a an after show discussion with Black Veterans and the music from Haitian artists Sue and Jodel Charles. Enjoy the wonderful food and drinks as you take in the show. For more information contact 720-748-1388 or go to www.blackradiodays.com.